Mixed-use projects are appealing to residents in the Bay Area because those developments combine housing with amenities and conveniences, along with proximity to jobs, transportation and services. 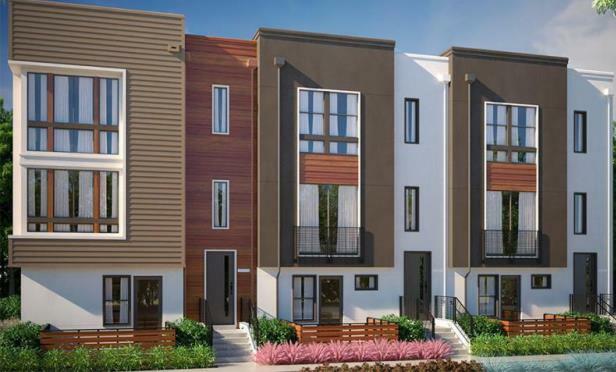 Locale @ State St is a community in Fremont with 76 rowhomes and 81 condos for sale. SAN JOSE—The Bay Area, underpinned by meteoric growth in the tech, semiconductor and biotech industries, has generated unemployment rates matched only by the late 1990s. Household formation has surged, yet a lack of housing, primarily multifamily units, has pushed vacancy to extremely low levels, according to a fourth quarter report by Marcus & Millichap.